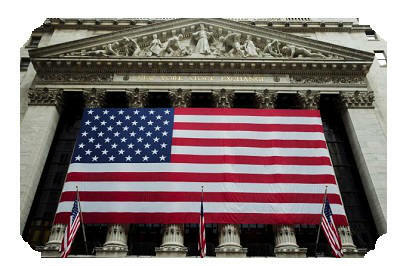 Are there regulated brokers in US? As of the writing of this article, binary options are still an untapped marketing in the United States of America. There is a growing popularity for binary trading, but it still has not caught on in the US in the much the same way it has throughout the rest of the world. The two main regulatory bodies that operate in the US, the Securities and Exchange Commission and the U.S. Commodities Future Trading Commission are both unclear about where the ultimate jurisdiction over binary options lies. In the past, both commissions have released joint statements on the subject. The U.S. Securities and Exchange Commission (SEC) is the American agency responsible for enforcing the country’s securities regulation. It is responsible for regulation of stock and option exchanges among other financial markets. The U.S. Commodity Futures Trading Commission (CFTC) is an independent American agency created by the US government for the purpose of regulating future an option markets. Like mentioned above, despite the fact that binary options are surging in popularity around the world, it is still relatively unknown in the United States. All though this is starting to change. This is one of the reasons why it takes a bit more research to find regulated brokers in the US, and why the uncertainty about jurisdiction exists. If you were hoping to find CFTC brokers, you will be disappointed. Though there are many high quality binary options brokers serving US clients. You can find out where these platforms are regulated below. Why is there confusion with binary regulation in the US? Binary options are a much simpler version of more traditional options. With more traditional options, a trader has the option to purchase the underlying asset at the current price no matter the future value. Binary options are simple – which is one of the reasons why they have become so popular recently. A binary trade is essentially a yes or no question: do you think the price of an asset will go up or down in a specific timeframe. As a result of its similarities and differences to more traditional options, binary can be regulated in many different ways. Binary options can be regulated as a financial instrument (a financial instrument is any tradeable asset). This allows options to be traded in countries that prohibit gambling, for example. However, they can also be regulated as a sort of betting. In England for example Binary Options are not regulated by the Financial Conduct Authority. The gambling regulatory body regulates binary options. The financial regulatory environment in the US has not been entirely warm to binary options over the past few years – mainly because it can bear similarities to online gambling. There are signs that this approach might change in the near future. Until then, most binary trading platforms are still headquartered in place such as Cyprus and regulated by CySEC, a regulatory body within the European Economic Area. As of the writing of this article, US citizens are allowed to trade binary options as long as the specific state or local authority in which they live doesn’t have a specific statute against it. How can I find a platform that is equivalent to a CFTC regulated broker? In the previous paragraph, I mentioned that because of a lack of clarity surrounding the regulation of binary options in the United States the binary options platform with which US citizens can trade are located outside the US. Most of the platforms are located in Cyprus. Binary brokers in Cyprus are regulated by CySEC, the Cyprus Securities and Exchange Commission. CySEC is a financial regulatory authority included in the European Economic Area, and is generally accepted as a respected regulatory body. Practically, there are a lot of more British binary platforms that you are not mentioning here. Recommend to make sure that the company has local offices in UK and 24/7 support working by phone and chat. All Binary Options that pay less than 90% are scams. Bet until you have four bets. lose Raise bet and repeat. Never trade unless you get at least 85%. Still a scam.